On Saturday April 14th guests will be treated to an exclusive dinner catered by renown Catalan-style restaurant NIU Kitchen during an evening filled with stunning photography, a gallery talk by curator Gili Crouwel (owner and founder of The Gallery Club), artist talks, video and tunes by Jazzfunked. All works in the exhibition are available for purchase. 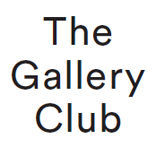 The Gallery Club is teaming up with Miami’s Lemon Yellow for an exciting event. Join us to celebrate the work of Miami-based photographers Simon Chaput, Stephan Göttlicher and Robin Hill. Lemon Yellow is a Branding and Design studio focused on producing high-level, concept-driven work both locally and abroad. Since the agency’s founding in 2005, Lemon Yellow has come to be known for it’s consistently clean, logical aesthetic and systematic approach. On view in the exhibition as well is a selection of relevant graphic design works from the Lemon Yellow archives on display. Born in France Simon Chaput moved to New York City in the early 1980s, and quickly became immersed in the downtown art scene through close friends Christo and Jeanne-Claude. It was during this time that he met Isamu Noguchi, who inspired him to revisit his childhood passion for photography. In the summer of 2017 a book was published about his fascinating Jantar Mantar series, including an original short story by the renowned author Salman Rushdie, written specifically to accompany Chaput’s dramatically beautiful photographs. Simon Chaput is represented in New York by the Howard Greenberg Gallery. For Stephan Göttlicher, a German-born photographer, the act of creating a photograph is very sensitive. He believes that the distinctions occur in the moment of seeing things; he needs to take the photo when it comes to him. There is also the aspect of the working process itself: Göttlicher was trained classically, but loves technical faults and mistakes and doing things in ways they shouldn’t be done. This has become a part of his work and a stimulant to experiment and investigate. Göttlicher came to photography from dance – spending about fifteen years studying and then working as a professional ballet dancer in Germany, England, and Switzerland. It was a very visual education that involved all arts. Photography became a passion while he was a dancer. He began to view dance and the world at large through the lens, and it opened things up for him. He got his start as a professional photographer by taking images for dance companies while still a dancer. Before long it became such a passion that he stopped dancing and switched to photography. He had his coming of age as a photographer in the late 1990s, towards the end of the analog period. In this newest exhibition of The Gallery Club presents two beautiful series of Göttlicher, namely his series of the exquisite Brutalist architecture of the south campus of Miami Dade College and his fascinating Everglades by night series. Photographer Robin Hill works at the intersection of art, architecture and design and forges them together through the lens of his camera. For him, the camera is a sketchbook through which he draws the light – an instrument of both observation and intuition. His vision is not impaired by opinion, trend or prejudice but guided by instinct, good timing and a keen eye for beauty. He embraces modernism but appreciates the classical as well. The Gallery Club has chosen Robin’s series Side by Side for this exhibition: photographs of Philip Johnson’s Glass House and Mies van der Rohe’s Farnsworth House, two of the most famous modern houses of the 20th century. Both comprising single-storey glass structures, each displays a very specific relationship with the landscape. Johnson’s house owed much to his relationship and admiration for Mies – the two men had worked closely together ever since the German had been at the Bauhaus in the 1930s.